IM 2017 will take place at Altis Grand Hotel, a landmark hotel in Lisbon with a prime location in central Lisbon, within walking distance of the Avenida Liberdade (Liberty Avenue) shopping district and Lisbon’s picturesque districts. This hotel is linked to the contemporary history of the country, regularly hosting conferences and media events and forever associated with the contemporary political history of the country. 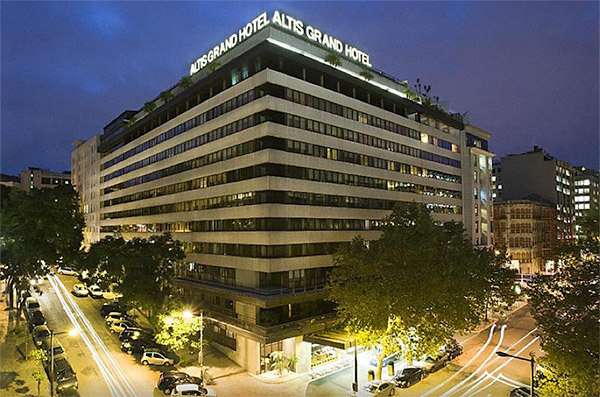 The Altis Grand Hotel is located in the downtown area of Lisbon, on Rua Castilho, in the middle of the main business district and some of the most exclusive boutiques and stores that line the cosmopolitan Avenida da Liberdade, set in one of the most fashionable parts of the city. This is also an ideal location to access the city's most vibrant and historic districts such as Bairro Alto and Príncipe Real, where you can find the true soul of Lisbon, lively new restaurants, bars, art galleries and museums with concept stores, antique shops, traditional grocery shops, Fado houses and snack bars. Please note May can be an exceptionally high season in Lisbon, therefore you should book your accommodation as soon as possible. Prices include breakfast and all taxes, with the exception of the Lisbon city tourist tax (1 Euro per night, per person), which is paid directly at the Hotel. Lisbon airport is 8 km away. The Altis Grand Hotel has a free shuttle service to/from the airport (previous booking required, check schedules here) and taxi connections should take 15 to 30 minutes, depending on traffic (special airport fee up to 20 Euro). The airport is also served by subway, which usually takes around 40 minutes to reach the Hotel (including a short walk). Marquês de Pombal (served by the Blue Line and the Yellow Line). Single journey tickets cost 1.45 Euro and 1-day (24h) tickets cost 6.15 Euro. You will also need a reusable “Viva Viagem” magnetic card to carry your tickets (0.50 Euro). For a map of the subway and detailed travel planning please check this link. The Hotel address is Rua Castilho 11, 1269-072 Lisbon. Lisbon is covered by Uber service. However, please note Uber cars had a few recent incidents with police inspections and taxi-drivers (as in several other countries). These incidents were sporadic and up to now without consequences for Uber customers, but nonetheless you should be aware of them. The Hotel has indoor parking available at special fees for IM 2017 attendants.